How interestingly the situation changes for just 4-5 months. 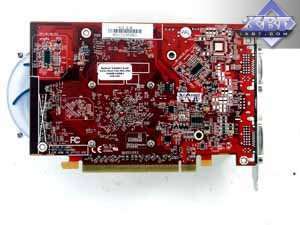 In early October, when the new series of ATI products including RADEON X1600 XT was just announced, we wrote about this accelerator as an ambiguous product, which was not worth its $249. 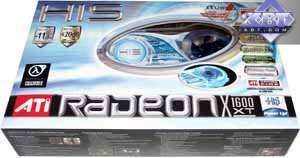 In fact you could get video cards with sterling 256-bit bus for this price. Moreover, the pipeline architecture of the available GPU was much more powerful: not only 12 pixel pipelines, but also 12 texture processors and even ROPs (for example, X800, GeForce 6800). 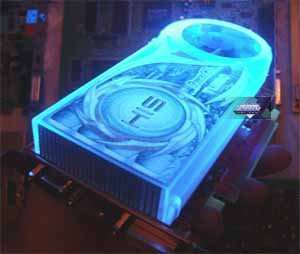 And in this case, even though the card supports SM3.0, it's equipped with just four texture processors and four ROPs. Plus 12 pixel pipelines. To say nothing of the 128-bit bus. Yep, extremely high operating frequencies of the core and memory saved the day! But that was still not enough. This product does not fair well even in our 3Digest (but it's not the worst). With a stroke of the pen the X1600 XT went down to $170. Even the first cards in retail were just a tad more expensive. That's when this product became very interesting, it started competing (successfully!) 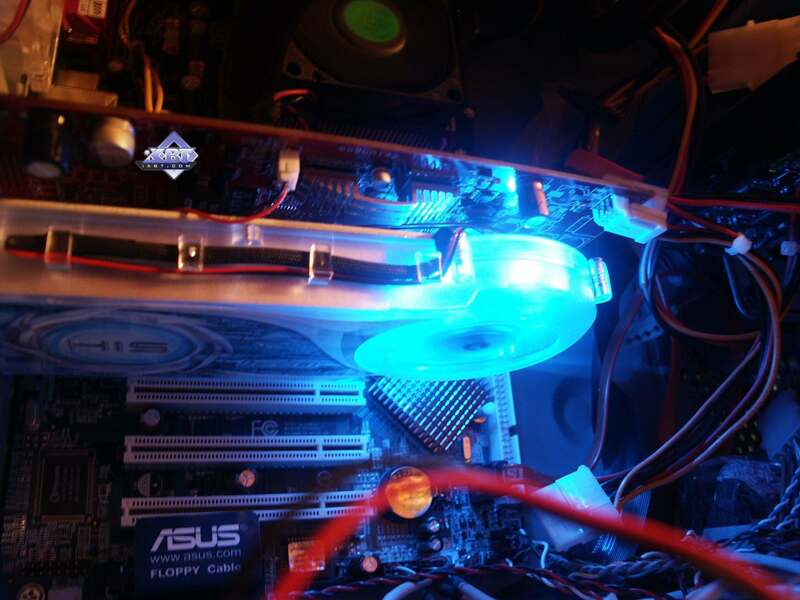 with GeForce 6600GT instead of 6800GS. But the question remains: is ATI's choice of the new 3-to-1 formula of computational power versus texture performance justified? That is there are just four texture processors for 12 pixel pipelines. According to the Canadian company, all new games have increasingly high shader loads, that is computational capacities of graphics cores, while texturing (still being a constituent part of rendering) plays a less important role. For example F.E.A.R., where this ratio reaches 5 to 1 and even 6 to 1. 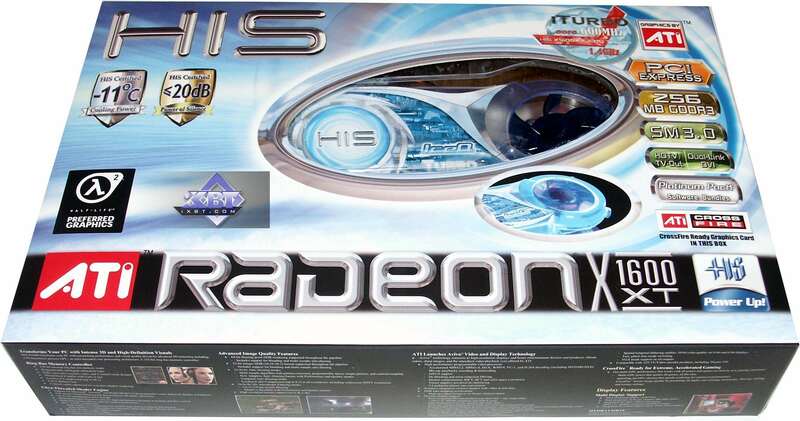 That is video cards with an equal number of pixel pipelines and texture processors are outperformed, because complex shader computations lag behind texturing. It's no secret that complex shaders sometimes require more than one or two GPU cycles, while all modern texture processors can apply 1-2 textures with filtering per cycle. But the heated argument does not abate. There are votaries of old models, who think that the optimal formula is 2-to-1, that it's sufficient for all modern games. But there are other opinions - these users back up their point with the above mentioned argument and some others. The time will show who was right. And now let's examine the new product from HIS, especially as it offers a lot of interesting features along with the X1600 XT properties. 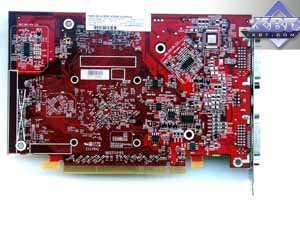 It's a Hong Kong company that specializes in video cards only on ATI processors. It has become very popular in Russia first of all thanks to non-standard but very efficient cooling systems installed on lots of their models. 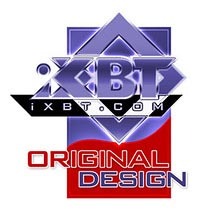 Output connectors: 2xDVI (Dual Link! ), TV-Out. I guess there is no need to remind you that this card is a copy of the reference design. 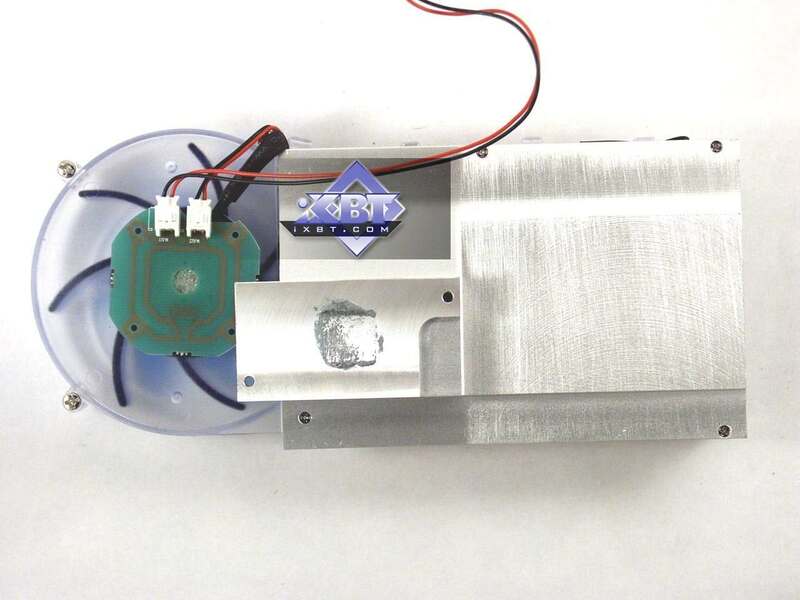 HIS product even does not differ in the PCB color, which has become darker in the reference design. 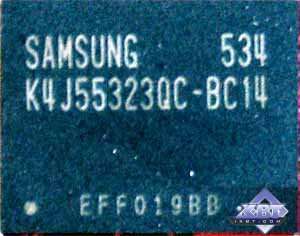 Alas, the card lacks VIVO. For some reason the engineers stinted RAGE Theater, even though there is an empty seat for it. A proprietary Arctic Cooling device. 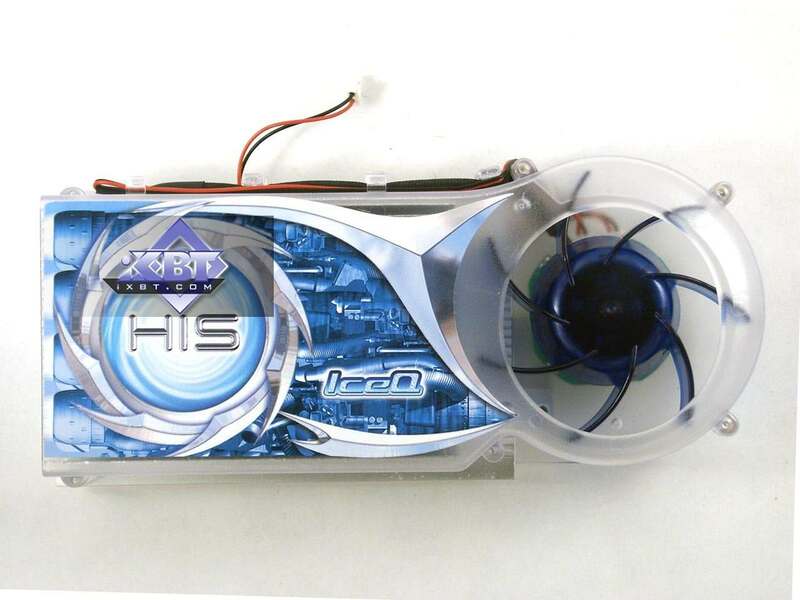 You can actually buy such a cooler separately, these coolers are available on sale. But the implementation from HIS has a peculiarity: the transparent plastic housing is covered with paint, which is luminous in ultraviolet. 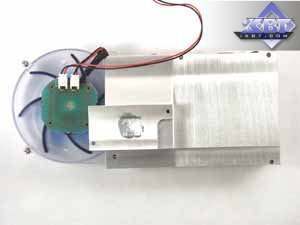 In fact it's a well-known and very popular cooling system. It's a first-generation cooler, we could see it on such cards as RADEON 9800/9800PRO. 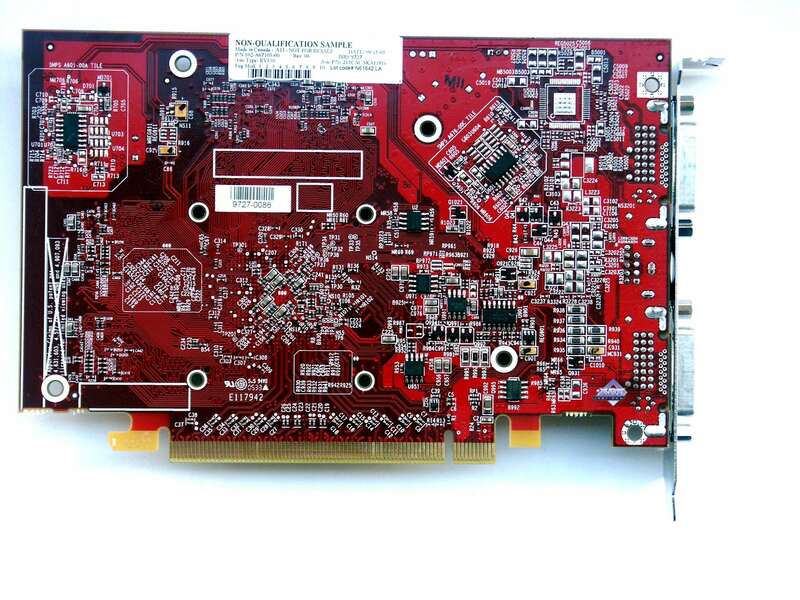 But the second revision of the device, used in RADEON X800 and GeForce 6800, is too large for such PCB, so it's reasonable to equip the X700 with a previous modification of the cooler, more compact. 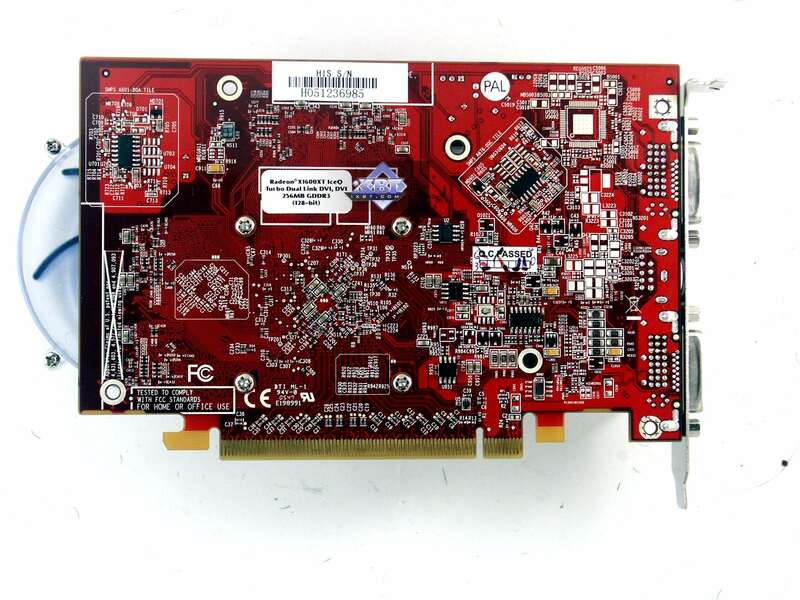 Above are photos of the same cooler from HIS RADEON X700 AGP. But it changes nothing, as the device is completely identical. 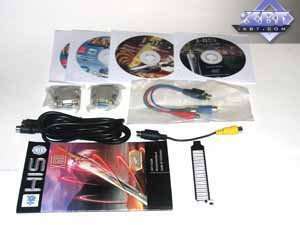 User manual, CD with drivers, DVD with software including some old game demos, DVI-to-d-Sub and HDTV adapters, TV cable. 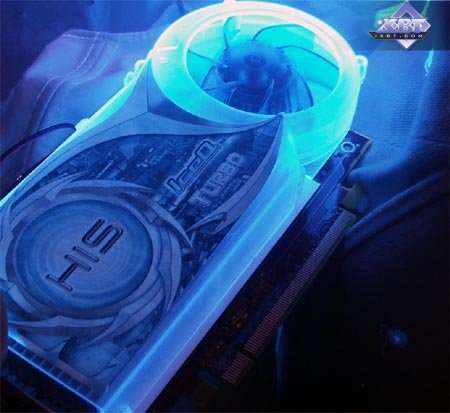 A typical package in white and blue colors that symbolize artic cold from such cooling devices on HIS video cards :). 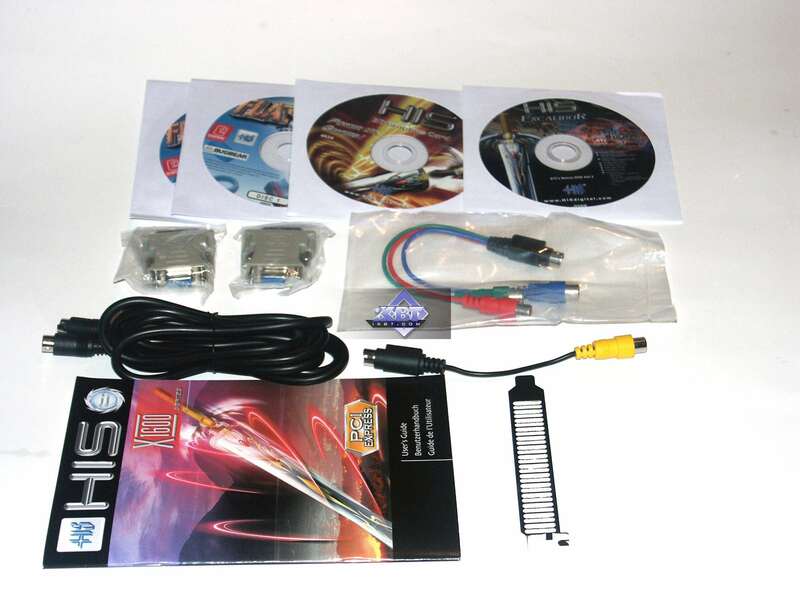 The jacket with a window that shows off the card contains a box with the card and other bundled components arranged into plastic sections. 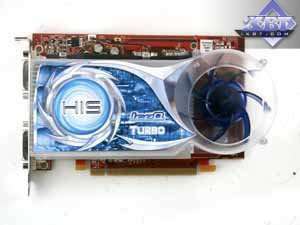 I repeat that the card comes with the iTurbo utility, which can set the frequencies from standard 590/1380 MHz to higher values - 600/1400 MHz (it's odd that engineers didn't dare to overclock the card to higher frequencies) at a single key press. 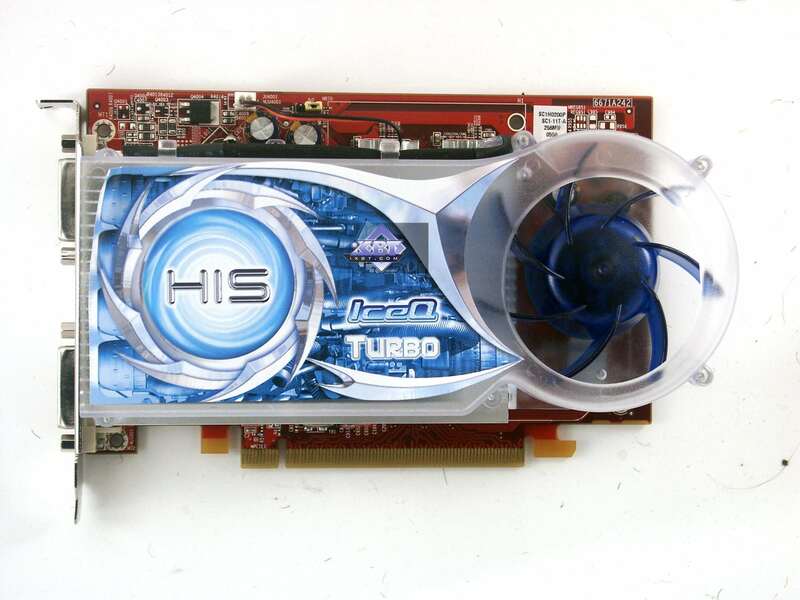 The same utility can overclock the card to 630/1500 MHz! 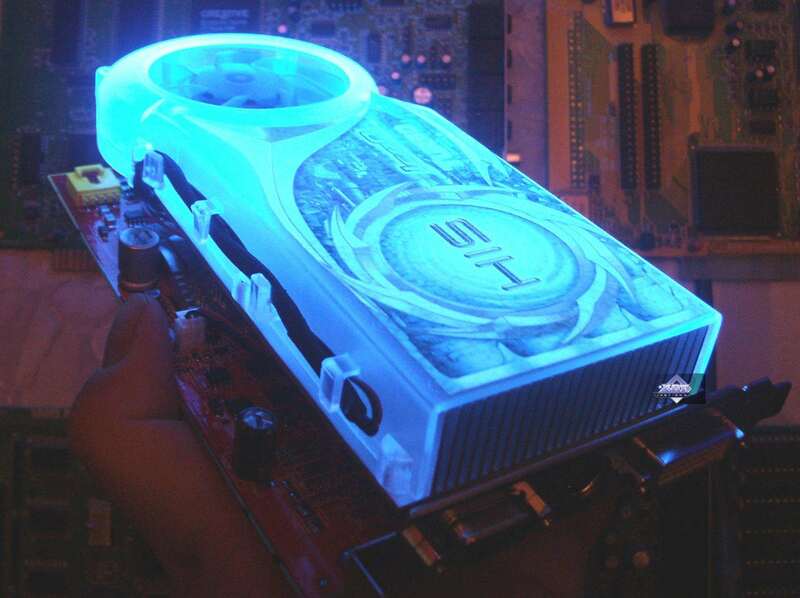 (the animated screenshot below shows all three operating frequencies: nominal, iTurbo, and maximum overclocking, successful on this sample). FarCry 1.33 (Crytek/UbiSoft), DirectX 9.0, multitexturing, 3 demos from the Research level (-DEVMODE startup option), Very High test settings. 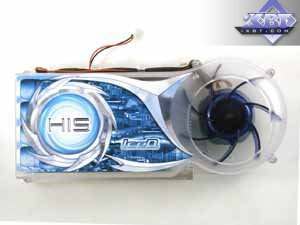 HIS IceQ II RADEON X1600 XT iTurbo 256MB PCI-E is a very interesting product for its price. 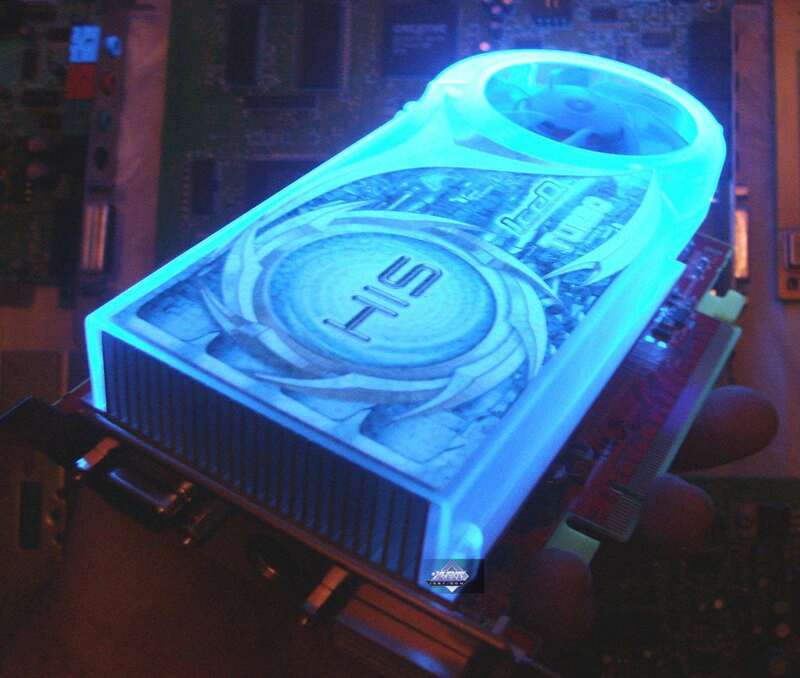 Our tests show that such cards are very good for modern games, their advantage may grow with the appearance of new games, which pose increasingly higher requirements to shader computations. But we shouldn't forget that expediency of the 3-to-1 formula has not been proved yet, there are a lot of arguments against it. 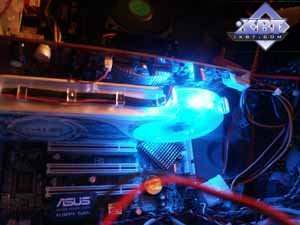 What concerns peculiarities of this card, it's the best product among all X1600 XT models, as it has a quiet and very efficient cooler and makes a good present to overclockers. 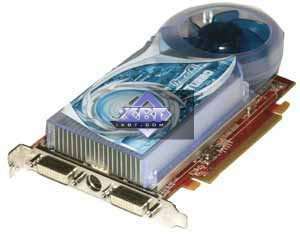 The card was very stable, we had no gripes with its operation. 2D quality is excellent, including 1600x1200@100Hz.